At this point, you’ve likely read a book, seen a blog post, or heard a podcast on what to expect while expecting. Let me tell you, the information out there is vast and slightly terrifying, as it outlines exactly ‘What Kind of Parent’ society wants you to be. From what to do, or not do, while pregnant to what to buy for baby, to how to raise children the “right” way. 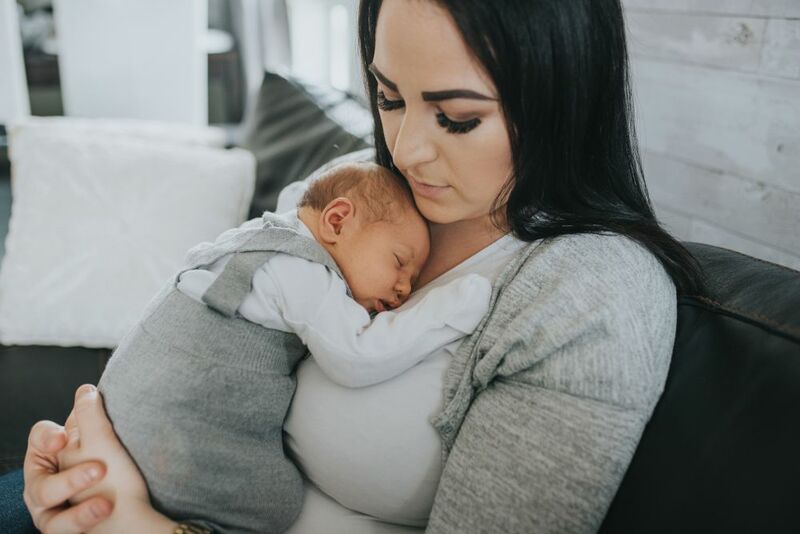 As a Registered Nurse, Mama Coach, and mom of two, I am here to tell you that there is no one size fits all when it comes to babies or parenting. The truth about what to expect when expecting? Expect the unexpected. Expect to feel challenged in ways you never thought possible. Expect to change your mind more than once. Expect to be exhausted – physically and emotionally. Expect to feel overwhelmed by the love you didn’t know you could hold for another tiny human. The best advice I can offer is to be open-minded. Learn about yourself and your baby, and make decisions as you go. Moms experience a ton of unneeded stress and disappointment because of the expectations they had set for themselves that didn’t end up coming to fruition. Plans are made to be changed, and rules meant to be broken. What is right for one family certainly may not be right for yours. If it hasn’t already started, you can expect a whole whack of unsolicited advice. People will be eager to hand out suggestions, but remember that you know your family and your baby best. So often, I have parents reach out to ask: What’s the ‘right way’ to do something? I am always quick to remind parents that there is no ‘right way’. No ‘right way’ to feed a baby, or right place for a baby to sleep, or the right time to make a change. If it works for you and your family, then it is the right choice for you! Motherhood – in our day and age – is one of the most isolating seasons of one’s life. Despite social media, and mom groups galore, women often feel lonely even when surrounded by other moms. Why? Because we’re all too afraid to really connect. We focus on building a façade about having it all together, rather than connecting and supporting one another during these difficult yet rewarding days. Choose people who will build you up and support you regardless of whether your choices look like theirs. 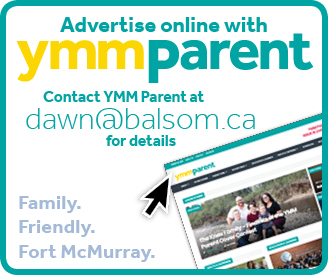 Fort McMurray is unique in that it is filled with families transplanted from other areas of Canada. Many of us here are desperate for a support network. And, thankfully, there are many options for new parents. Having moved here while pregnant and knowing no one, I can empathize with the isolation many moms experience. Baby Café, a program put on by public health was my lifeline. An excuse to get out of the house, and an excellent way to meet people going through all the same life changes I was experiencing as a new mom. Both the good and the bad because you won’t get those moments back. You don’t have to enjoy every moment, but at least be present. We all have heard a thousand times over how quickly time flies, and how quickly children grow. It’s cliché because it’s true. I remember staring at my newborn baby wondering how such long nights could become such short years. But here we are, two years in and I’m genuinely confused about where the time has gone. A lot of my work in this community is with breastfeeding moms. Often, we talk about cluster feeding, or the periods of a baby’s life where they seem to want to breastfeed for hours on end. I lived those days (and nights), and I know how hard they are. But I also regret not enjoying them more. Time flies. One day they are itty bitty, spending hours on your chest. Then, in a blink of an eye, your kisses no longer fix their hurts. When the nights seem long, and you’re exhausted beyond belief, remember that this too shall pass. Mom’s health, mental and physical is something that we so easily sweep under the rug. We focus so much on the needs of others that we forget to care for ourselves. Women want to do it all. Be great partners, friends, and mothers. The truth is, we can’t do it all. Something has got to give, and often women give so much of themselves that they have nothing left. Enter mommy burnout. Some women suffer from anxiety, depression, and burnout because they forget to fill their own cup. Self-care looks different for everyone, so it’s important to do some self-reflection and figure out what you need to feel whole again. Start a hobby, take a nap, spend some alone time with your significant other. It doesn’t need to be big, it just needs to count. In the darkest of nights, it’s important to remember that the sun will rise, and a new day will come. Some days are full of smiles and laughter, and others will be hard, but you always get a re-do. Be kind to yourself and enjoy the ride! 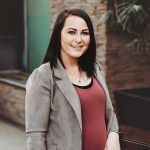 Edmonton-born Maddie Amyotte is a Registered Nurse in Fort McMurray and specializes in all things maternal/newborn and child health. Most important, she’s wife to her husband Brendon and mother to two-year-old Rowan, three-month-old River and her two pit bulls. Maddie is also a part of the Mama Coach team of Registered Nurses, who are committed to making motherhood easier and owner of the local Mama Coach. Learn more at themamacoach.ca and contact her at maddie@themamacoach.ca. 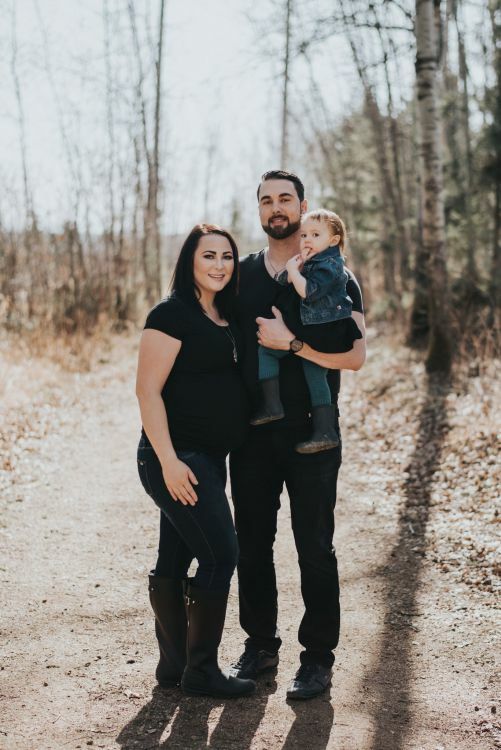 Edmonton-born Maddie Amyotte is a Registered Nurse in Fort McMurray and specializes in all things maternal/newborn and child health. Most important, she's wife to her husband Brendon and mother to two-year-old Rowan, three-month-old River and her two pit bulls. 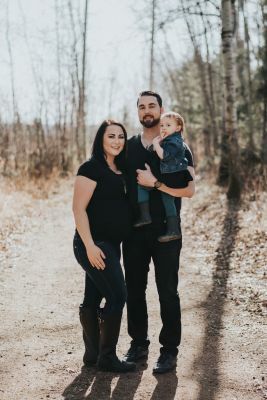 Maddie is also a part of the Mama Coach team of Registered Nurses, who are committed to making motherhood easier and owner of the local Mama Coach.